It had rained quite heavily last night. In fact, it was raining cats and dogs at 8:00 am. The rain subsided at around 11:00 am. 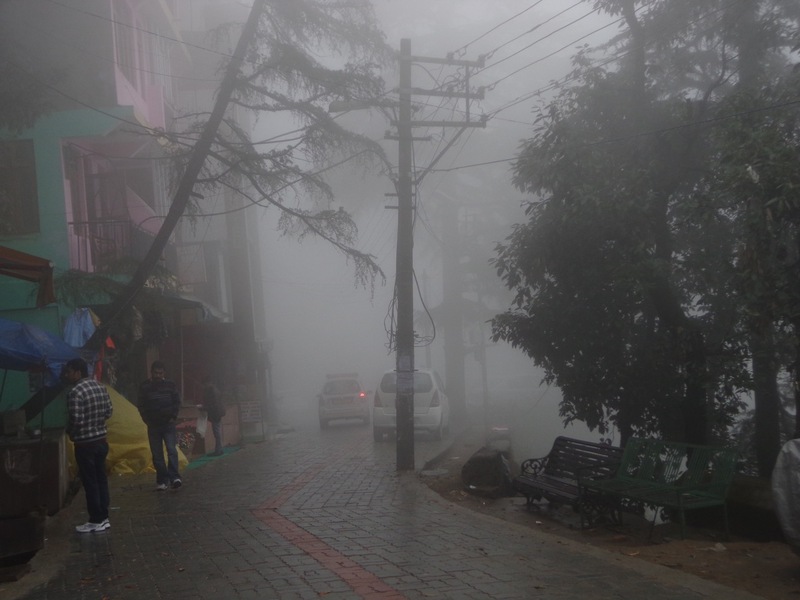 I had a quick lunch (or brunch) and decided to cover the vicinity of McLeod Ganj on foot. 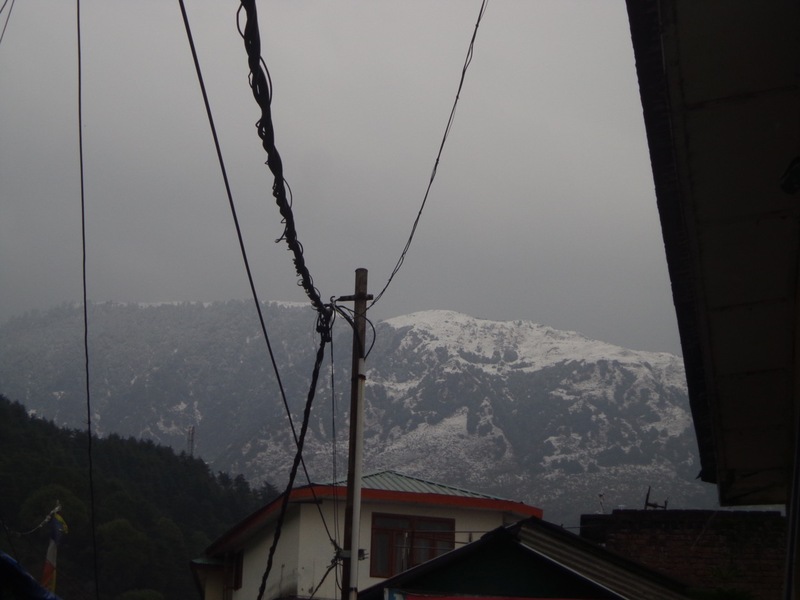 Triund hilltop was covered in snow. It was sheer coincidence that I had timed my trek on the right day. 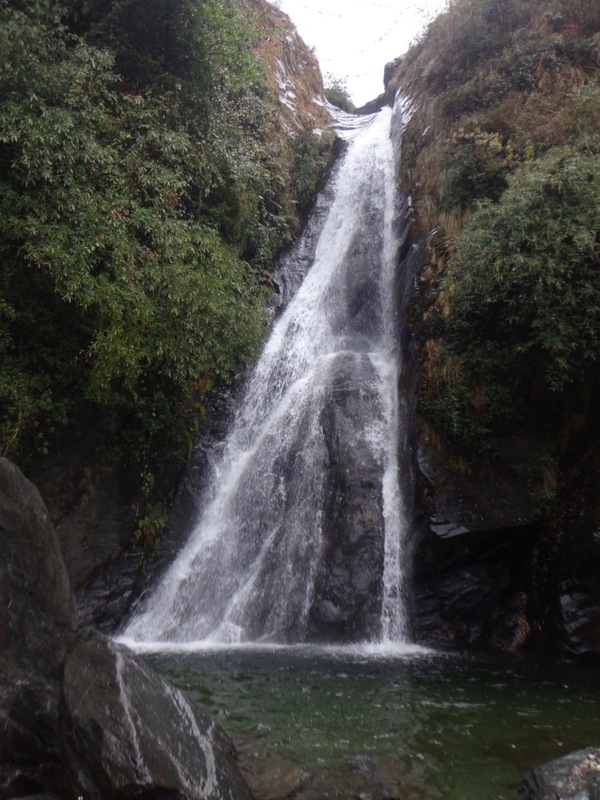 Bhaksunag waterfall is a very short (2 km) walk from McLeod Ganj. 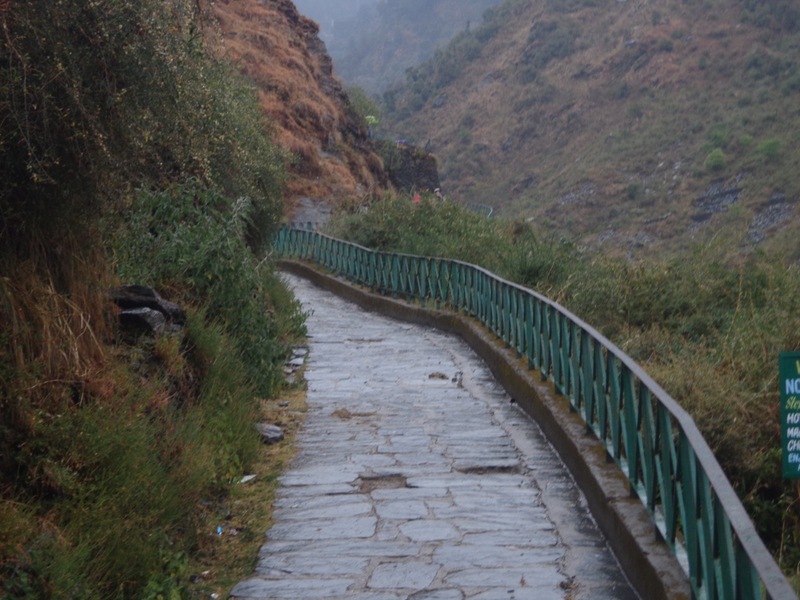 The road passes through the Bhaksunag temple. 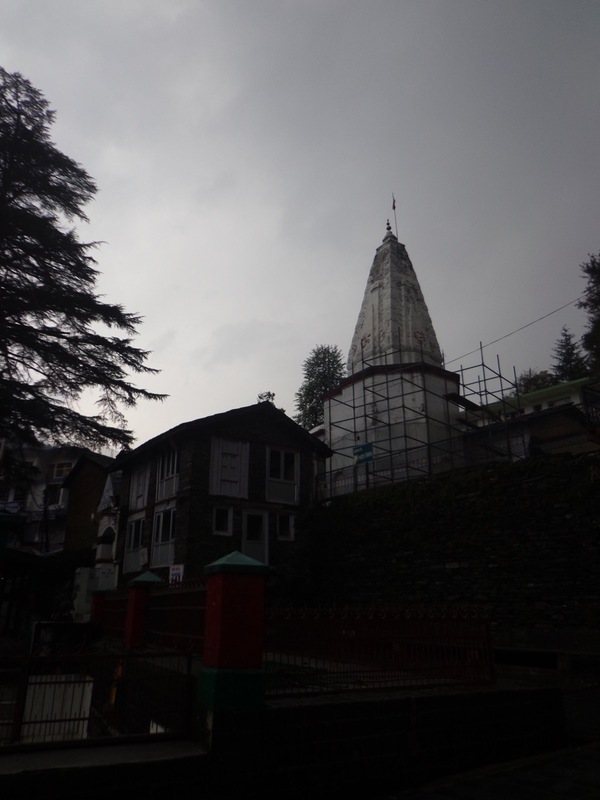 The rains had worsened the junction that leads to the temple. It was still better than our Whitefield roads in Bangalore. 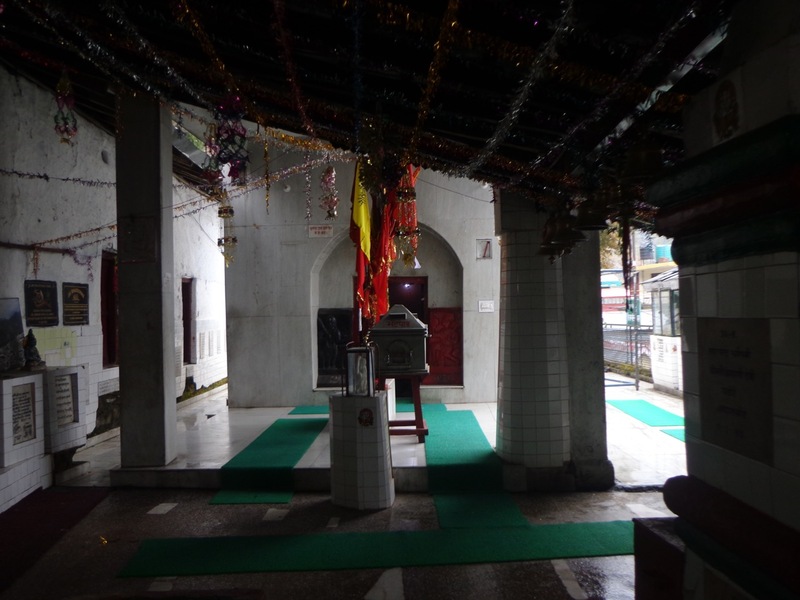 Bhaksunag temple is mostly maintained by the donations from the army. 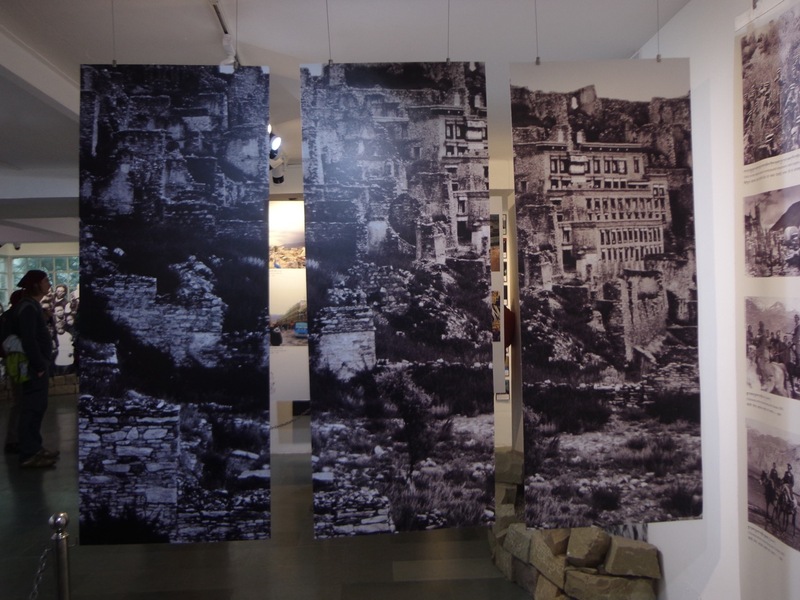 Most of it has historically come from the various Gurkha regiments stationed in Dharamshala. 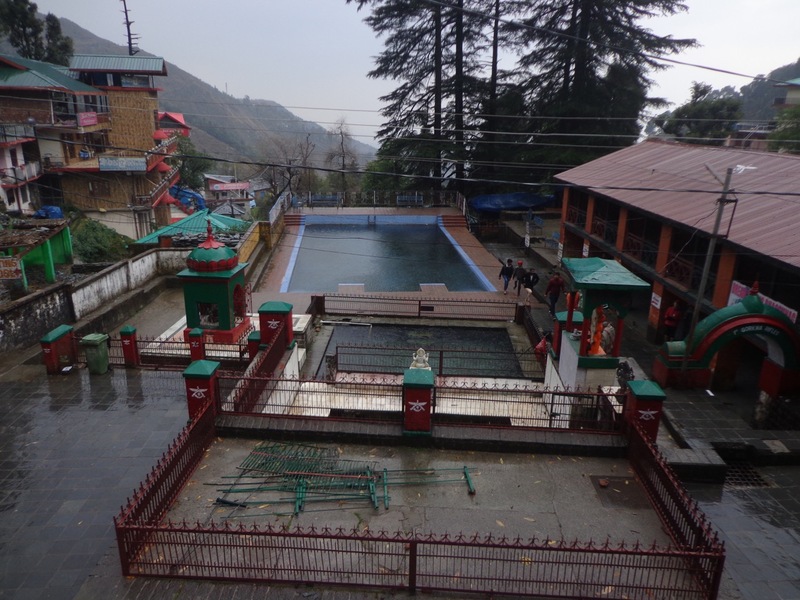 The courtyard of Bhaksunag temple has a swimming pool. 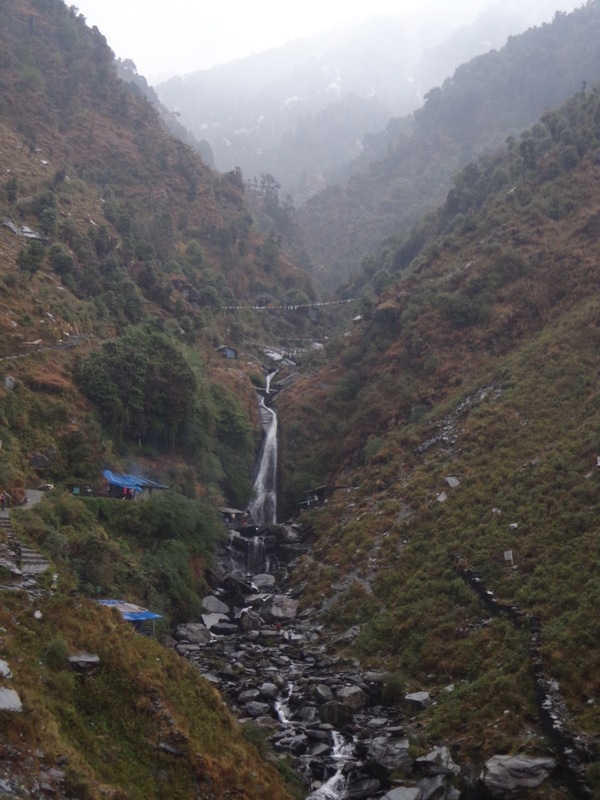 The waterfall is 700 metres from the temple. The entire trail is laid out very nicely with slate. I saw a woman in high-heels walking through the paved trail. It was surely idiotic and dangerous, especially after the rains. The Bhaksunag waterfall is visible from afar. The entire trail is paved with local slate stones. There is also a railing for safety purposes. There are many shacks that serve tea, eggs and Maggi. Here is one that did not spend too much time naming itself. The actual waterfall is small. Last night’s rains ensured a good flow. 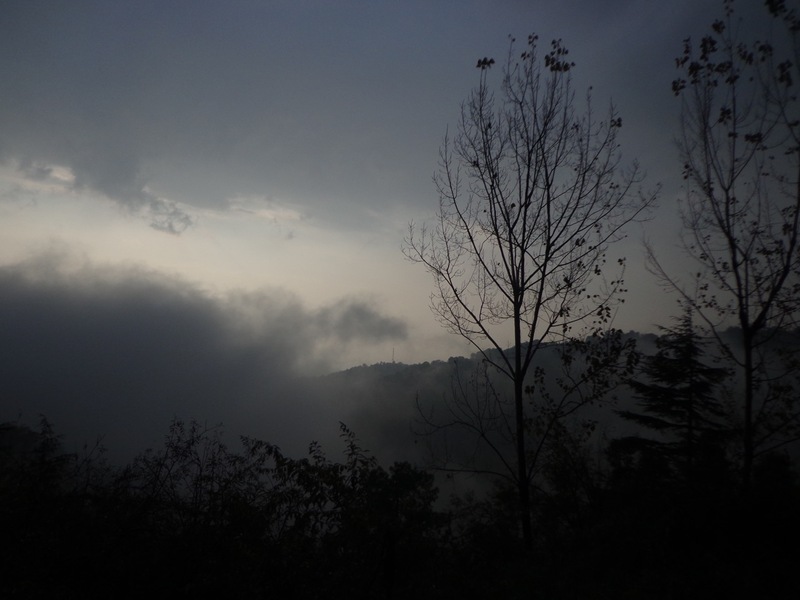 While walking towards the temple, the entire place got covered in mist. Visibility was reduced to zero. Even the parking platforms beyond the edge of the road aren’t visible. 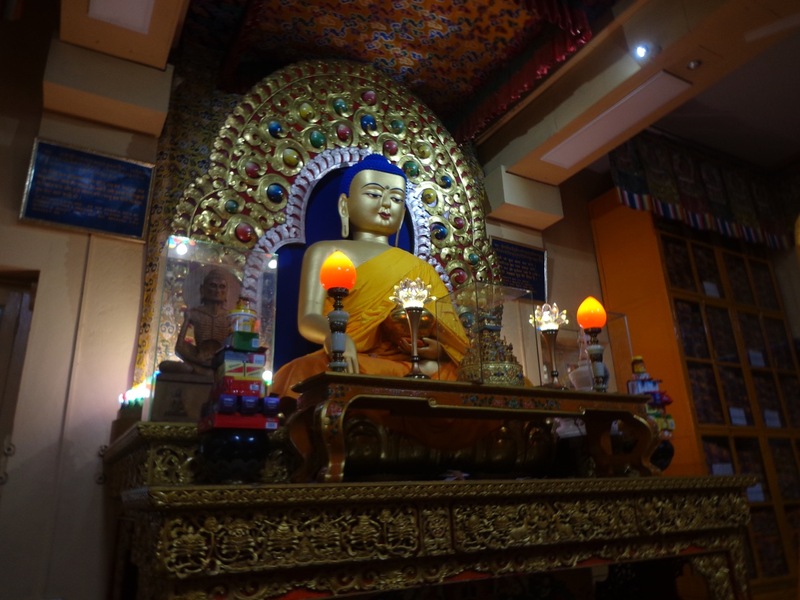 The temple is dedicated to preserving the teachings of a particular form of Buddhism that can be collectively known as Tibetan Tantric Buddhism. I got to know that specifically, there are four schools of thought, the details of which was difficult to grasp from the blurb on the Kalachakra and Vishvamata idol inside the temple. 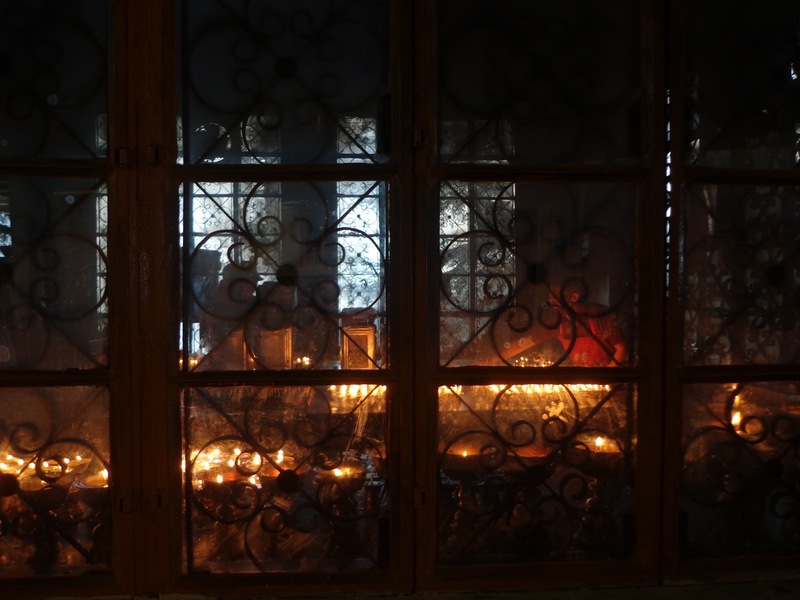 Sadly, photography is prohibited in most areas – some to preserve spiritual sanctity and the others for security reasons. 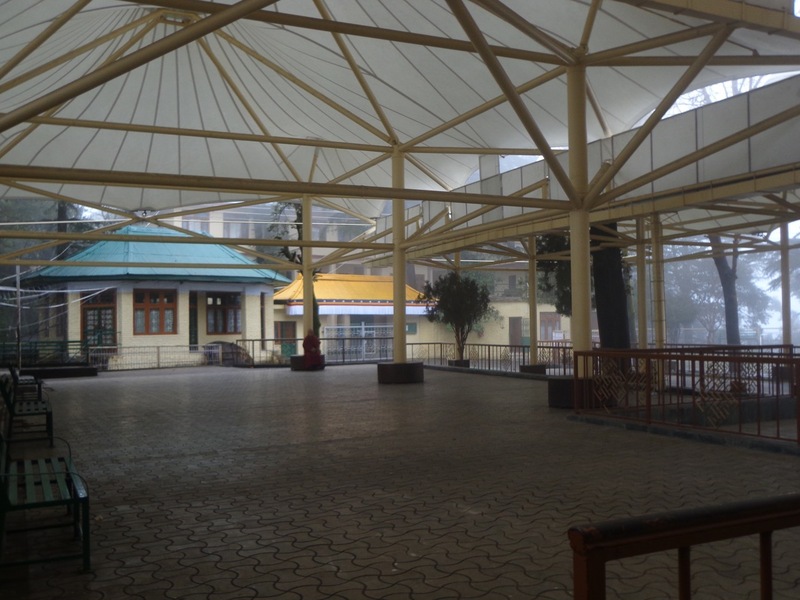 The residence of Dalai Lama is partially visible through the courtyard. Photography of his residence is prohibited due to security reasons. 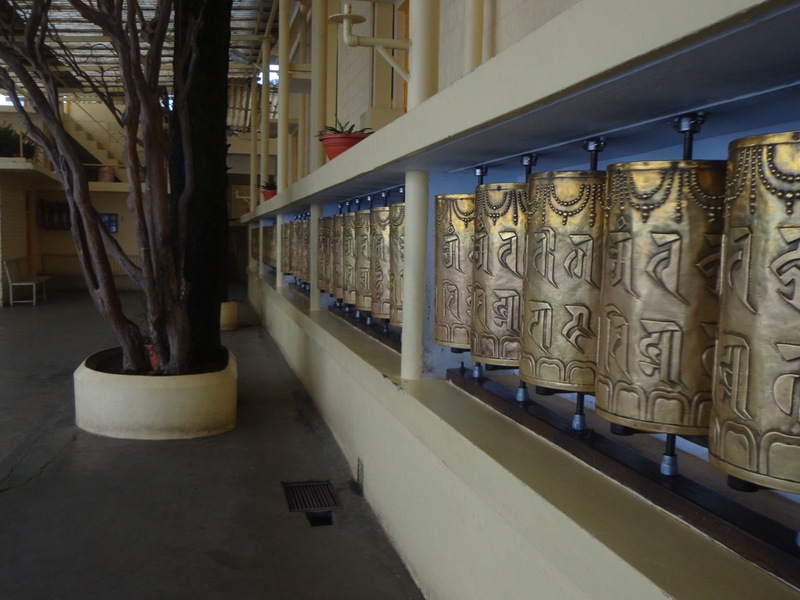 The Mani prayer wheels that surround the temple. Visitors are asked to move in clockwise direction. The Buddha statue of the temple. Some ancient scriptures are also preserved in this room. Monks lighting up butter lamps for offering. 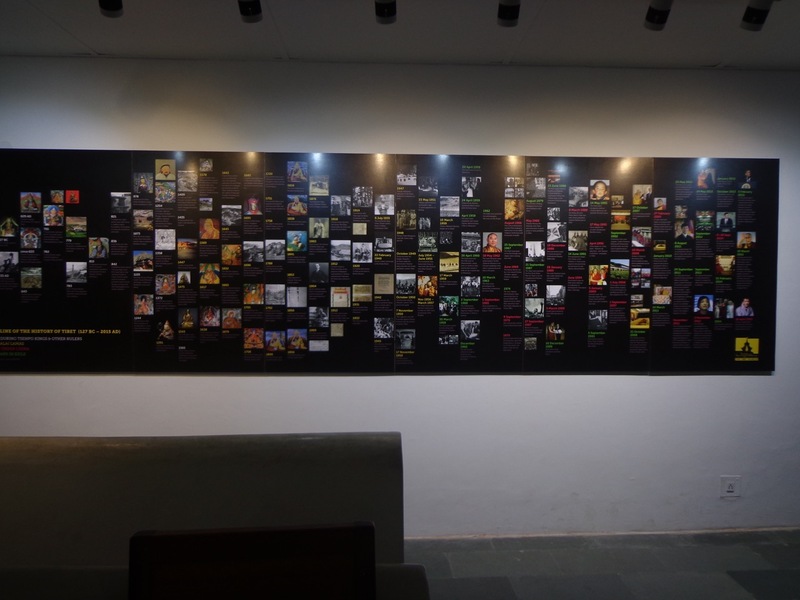 The Tibetan Museum is dedicated to China’s occupation of Tibet, the establishment of Tibet Autonomous Region and the suffering of its inhabitants. 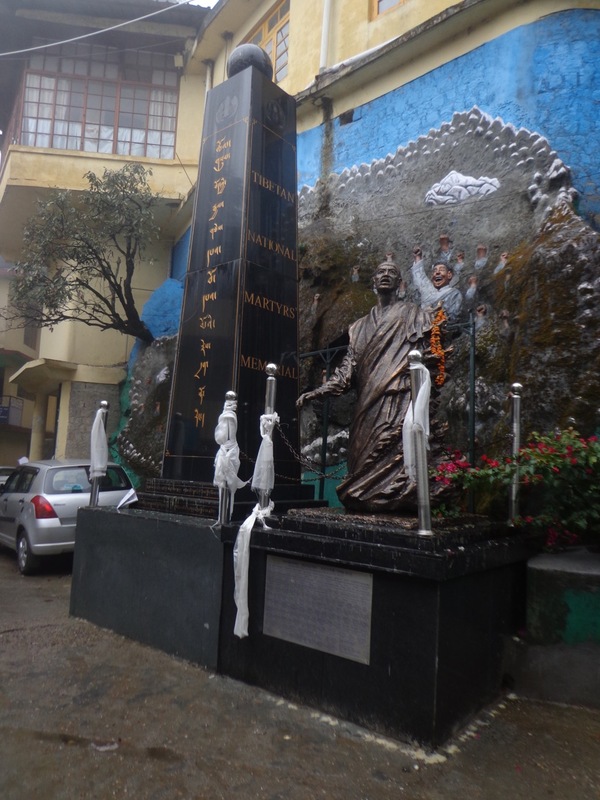 Near the entrance is a memorial dedicated to the people who died during and after China’s occupation of Tibet. The destruction of Potala Palace. 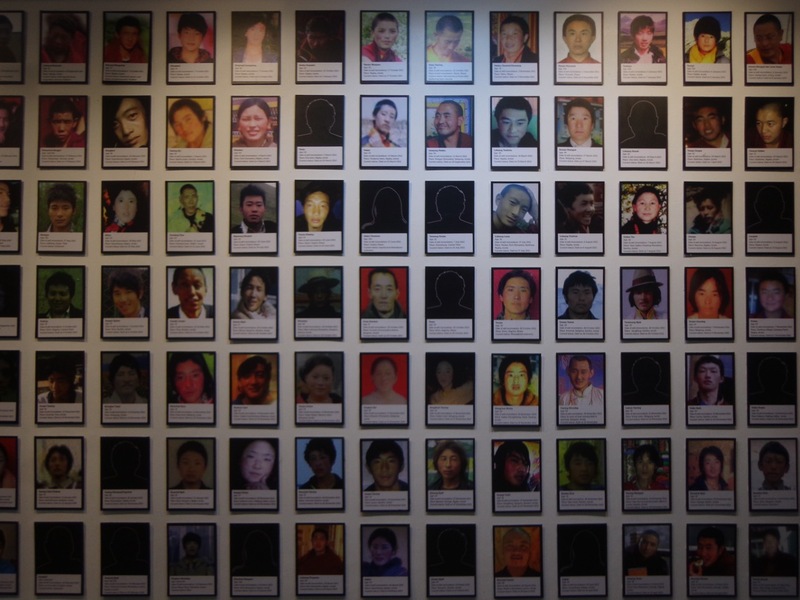 A large number of Tibetan people have immolated themselves in protest of China’s cultural and political invasions. The timeline of the history of Tibetan people, Dalai Lamas and China’s occupation of Tibet. The mist had cleared up at 4:00 pm. The Sun was visible through the clouds. 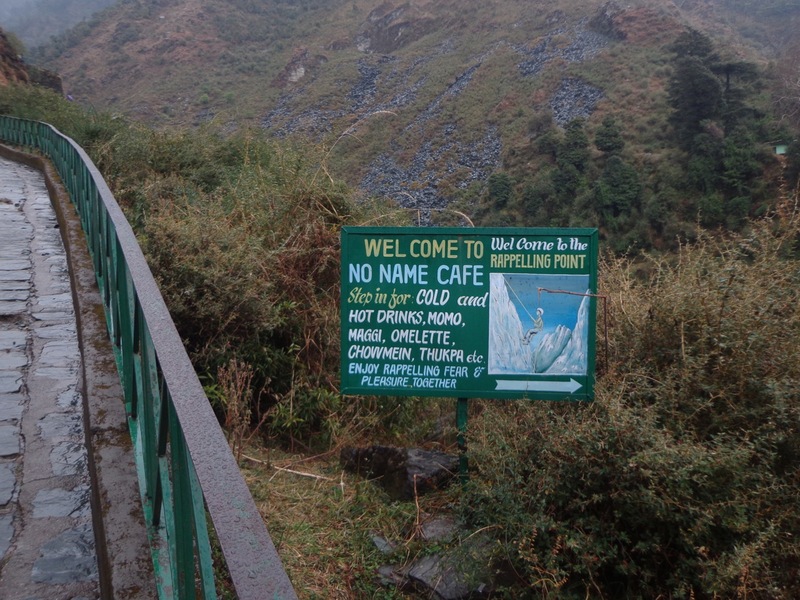 I walked through the market and took NH 503, the longer of the two roads of that leads to Dharamshala. The Sun was trying to break through the clouds. 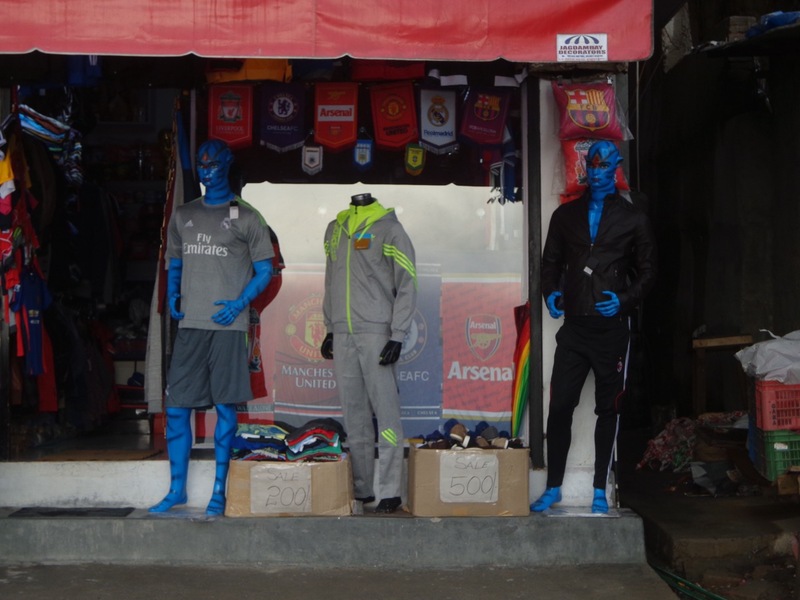 Sometimes you can’t afford human mannequins. That’s when Na’vi dolls come to the rescue. 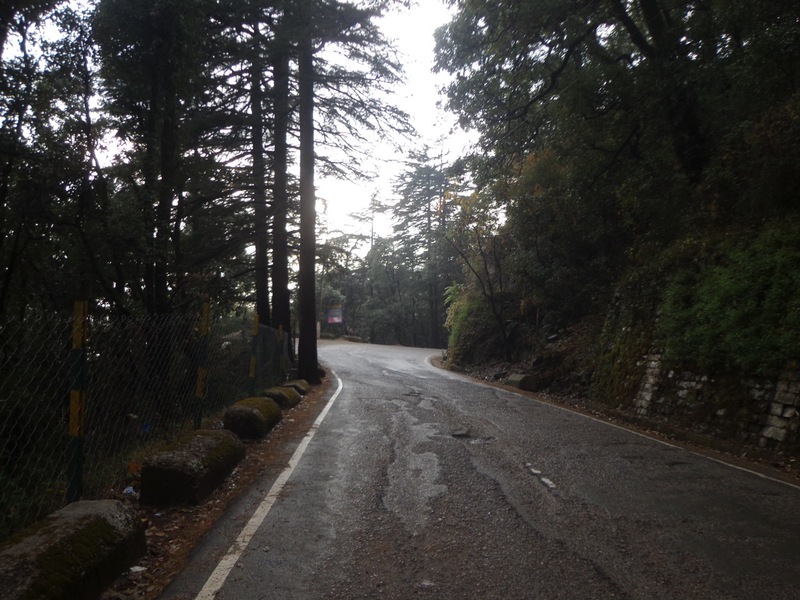 NH 503 runs through this beautiful forest. 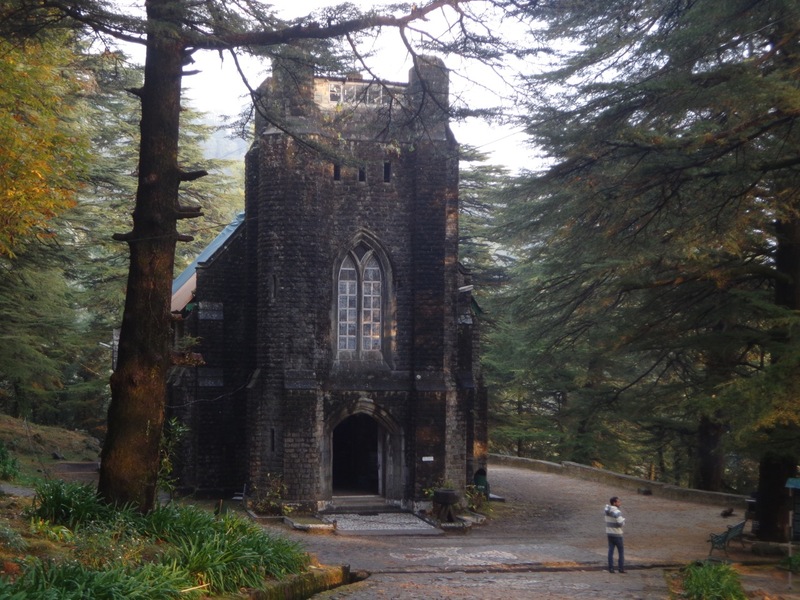 St. John’s Church is indeed in the wilderness. There is nothing else nearby. 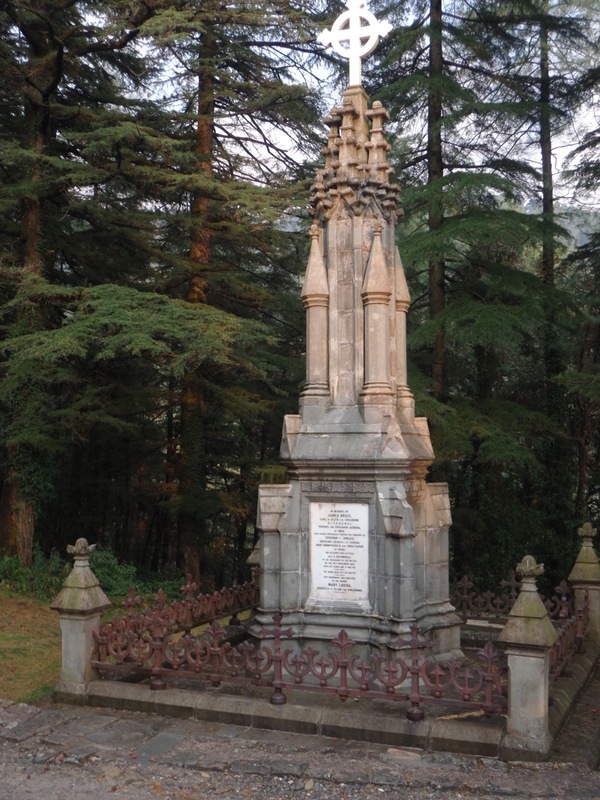 It was built in 1852 to serve the British troops and families stationed in Dharamshala. 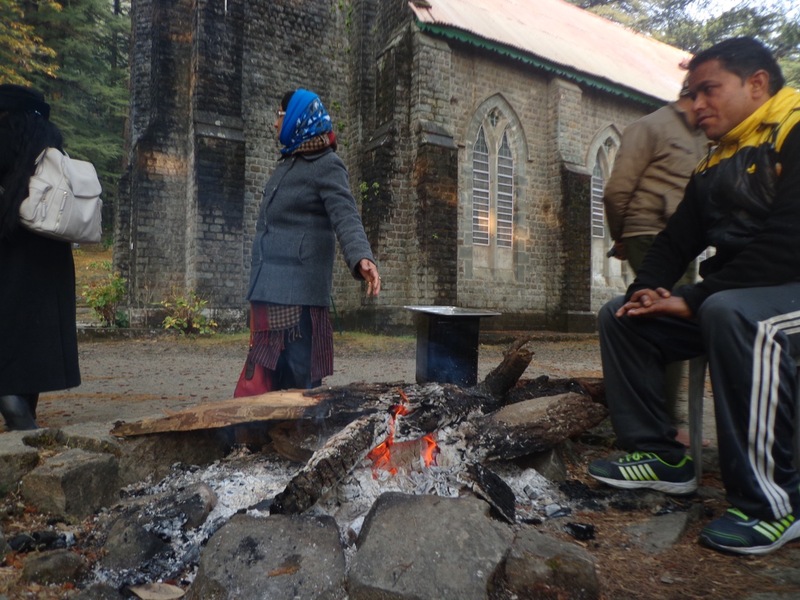 The Church is the only structure in Dharamshala that survived the 1905 Kangra earthquake. Parts of it have been rebuilt, including the spire and the roof. The memorial of James Bruce. The temperatures had fallen significantly after the rains. There were two things that kept me warm throughout the day. My weather app said that it was 4°C. I did not miss a chance of basking in such bonfires, whenever I got an opportunity. 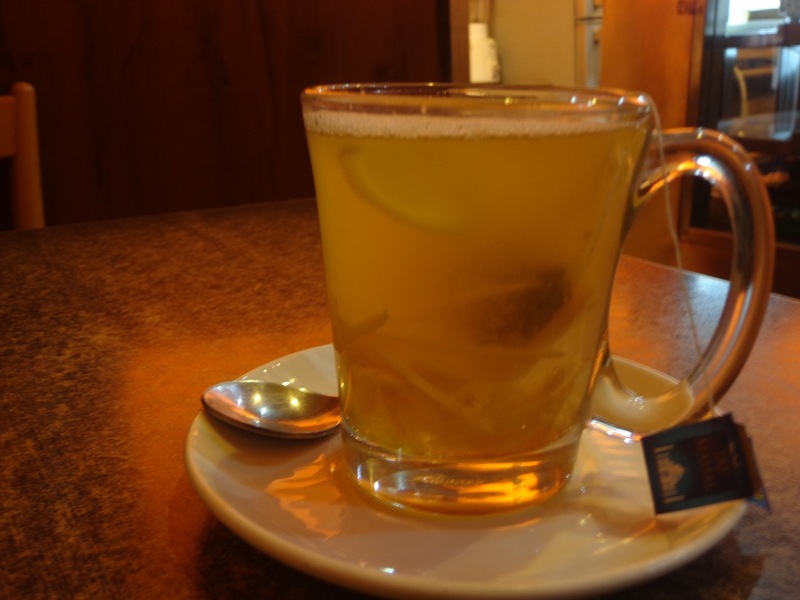 This is Ginger, Lemon and Honey Tea. I lost count of the number of cups / glasses I had throughout the day.